GE dryers use humidity sensors to control the heat going to the dryer. When the humidity sensor isn’t working properly the dryer will take a very long time to dry the clothing in the drum. The humidity sensors are located on the back of the dryer’s drum and are held on by two screws. You can replace these sensors will little knowledge of the subject and a few very common tools found around your home. New heat sensors will save you time on your next laundry load. Unplug the GE dryer from the wall outlet in your home. Pull the dryer away from the wall and use a pair of pliers to squeeze the clamp holding the exhaust hose to the exhaust vent on the bottom back panel of the dryer. Remove the exhaust hose and use a screwdriver to remove the screws holding the back panel onto the unit. Pull the back panel off of the unit to reveal the inner components of your GE dryer. 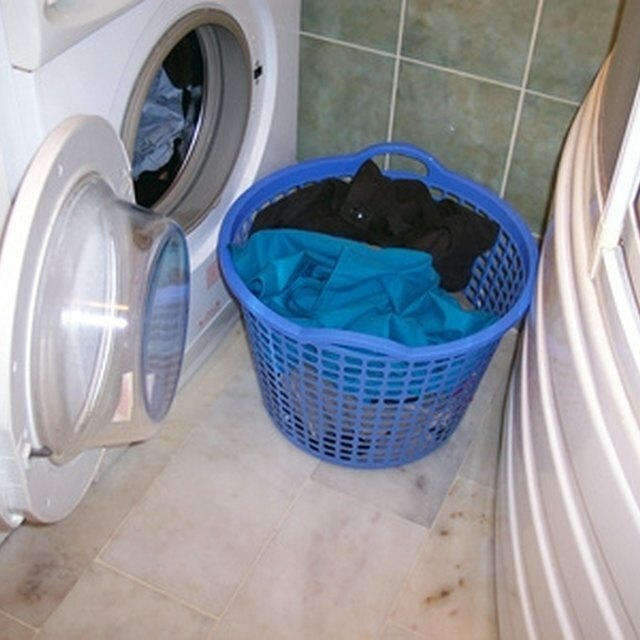 Locate the dryer sensors located just below the dryer’s drum. These sensors will be about the size of a quarter and have two wire assemblies coming out of them. Use your screwdriver to remove the screws holding the sensors onto the brackets below the dryer drum. Use a pair of pliers to pull the wire assemblies off of the sensors. Install the wire assemblies onto your new sensors and secure them with the two screws holding them onto the bracket just below your dryer drum. Replace the back panel of the unit and the screws holding the back panel onto the unit casing. Clamp the exhaust hose back onto the exhaust vent behind the dryer. Plug the dryer back into the wall and push it back into place. Be sure that no power is going to your GE dryer while you are replacing the sensors.